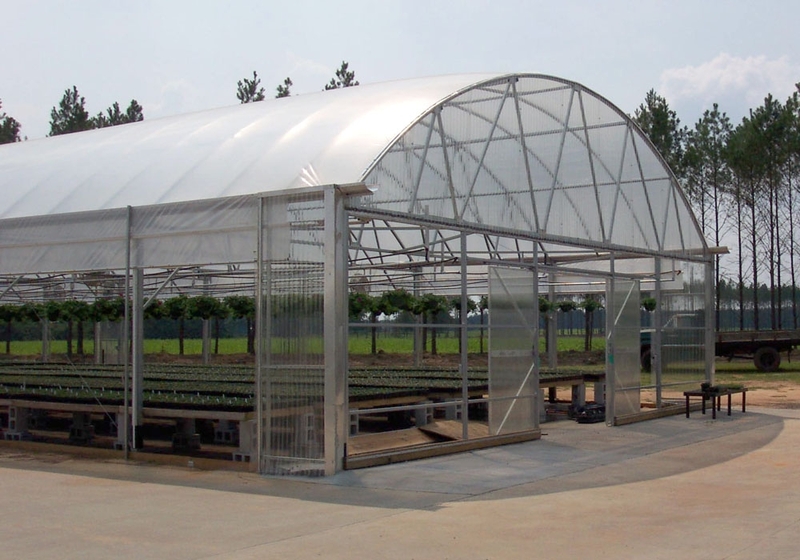 The Piedmont’s classic arched roofline, versatility, and great strength make it one of our most popular frames where large spans and column-free work spaces are needed. 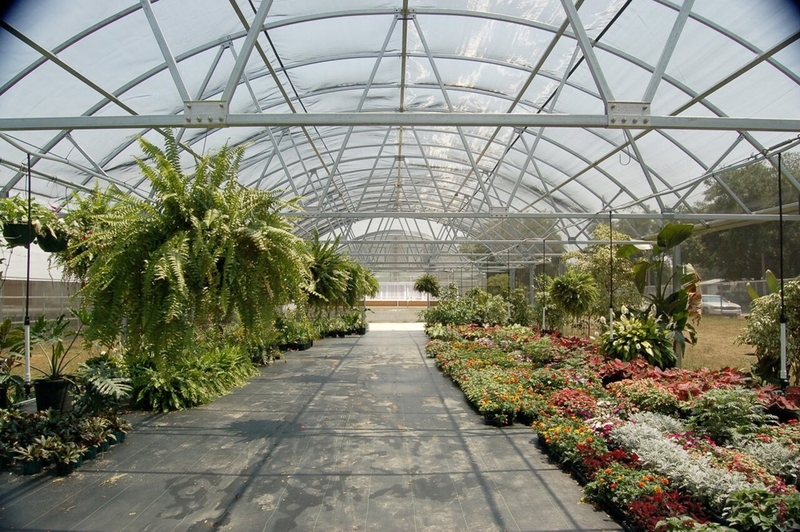 Look at the outside of the Piedmont, then look at the inside. 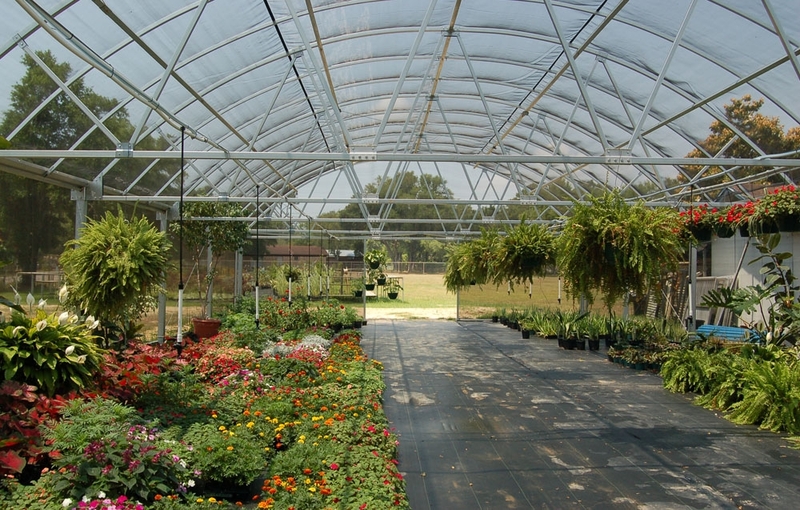 Its beauty is more than skin deep. 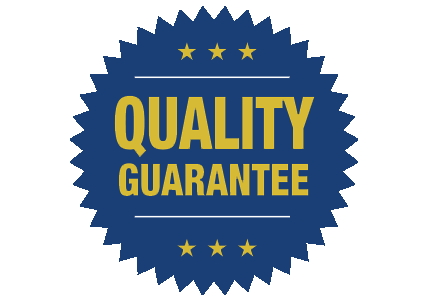 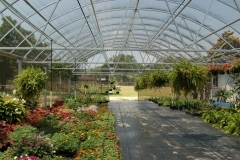 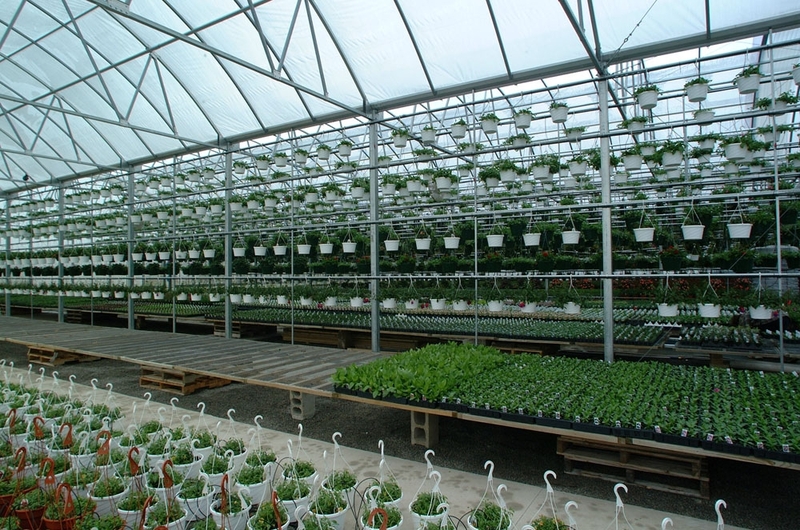 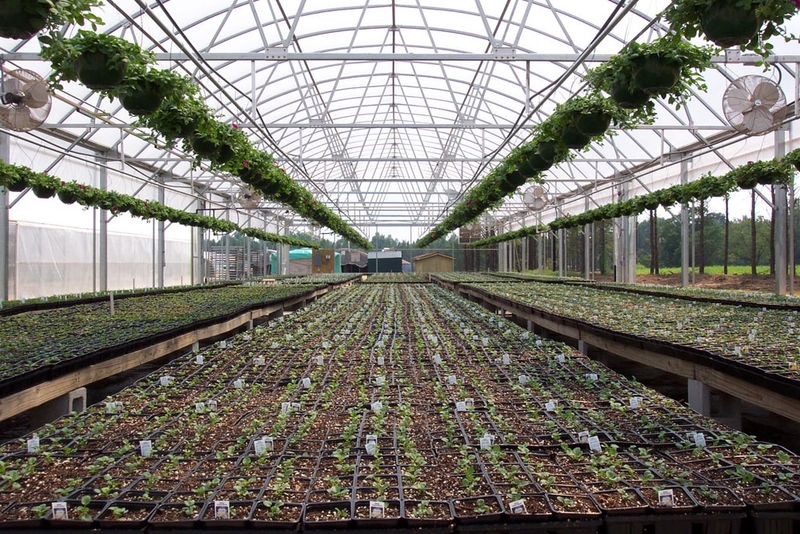 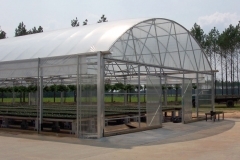 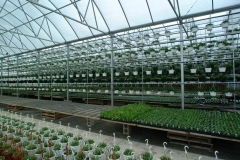 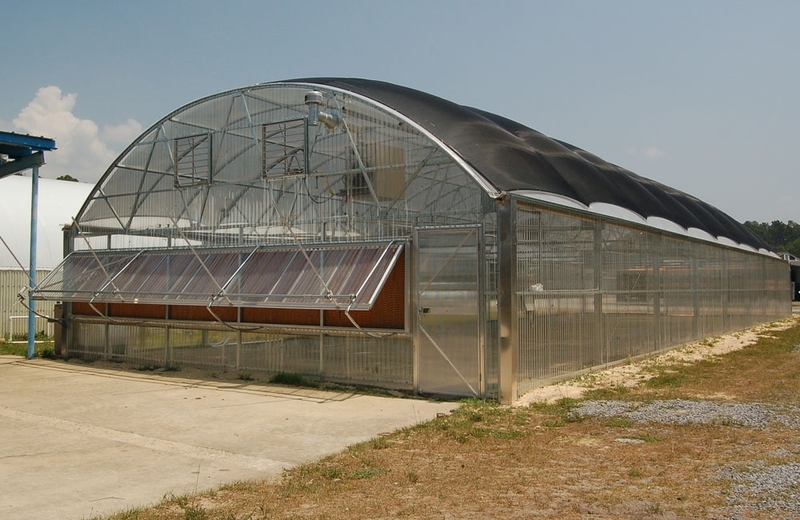 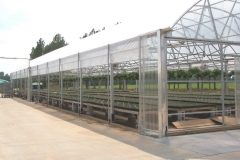 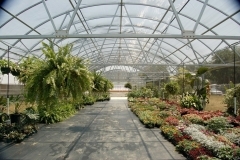 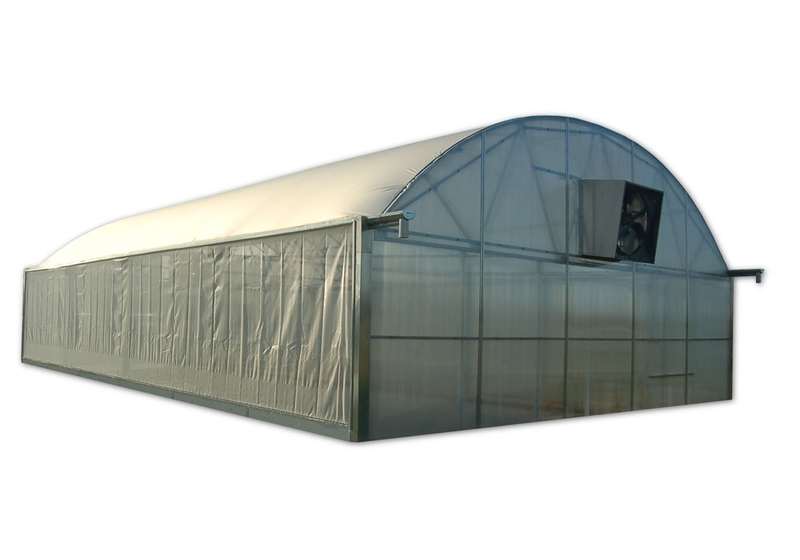 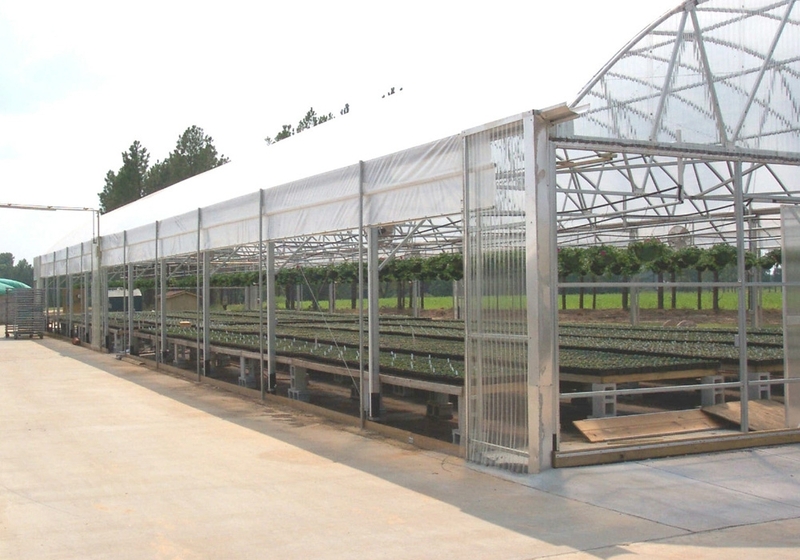 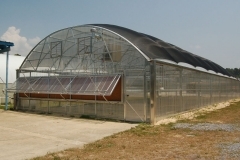 Its 100% square tube frame is supported by 4 inch (4” x 4”) columns and the same super strong truss support as our Appalachian Greenhouse.